Customers are increasingly choosing products and services based on the quality of the experiences they have with them. 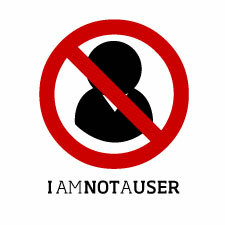 We are not "users", we are people and we should design for (and with) people. 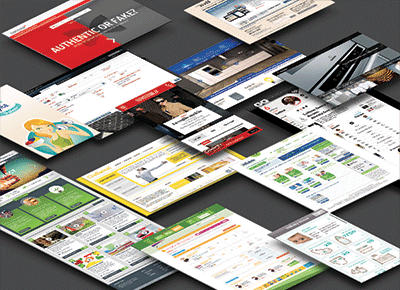 Avoiding this term could change your design approach dramatically. 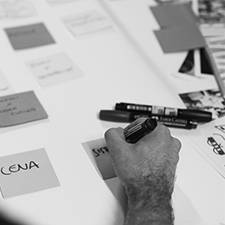 Experience and Service Design are based on continuously evolving processes. There's always room for improvement. Everything is your prototype. 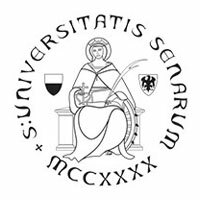 University of Siena – Degree in Communication Sciences with honors. My studies focused on Human Centered Design and Interaction Design. My final thesis was "Designing Design - Users’ Involvement in the Creative Processes". 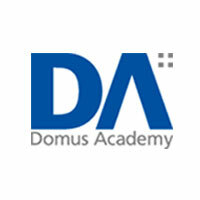 Domus Academy – I graduated in Interaction Design with honors. After this, I worked as Course Coordinator and Project Assistant for the Master in I-Design when Domus Academy merged with the Interaction Design Institute of Ivrea. I worked as Senior Interaction Designer covering several phases of human centered design process. 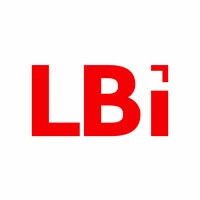 Then I lead the interaction/experience design activities for the biggest business unit of LBI IconMedialab for national and interational projects. I lead the Experience Design Department, a 10-12 member team, which coverd three different professional areas of expertise: Interaction Design, Visual Design and Copywriting. I worked as Experience and Service Designer on selected projects. Continuously looking for ways to improve the quality of our digital products, I design solutions that balance people’s needs with business goals and technical capabilities. I work with the Marketing and Tech Leads to create beautiful and easy to use products across multiple platforms and devices. We are people and we should design for (and with) people! My personal crusade since 2009. I've been running workshops for years, for both internal and external events. Check out a couple of examples. 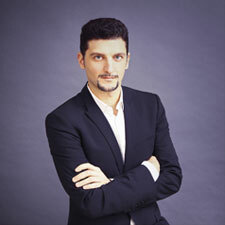 I am an Experience and Service Designer based in Milan. 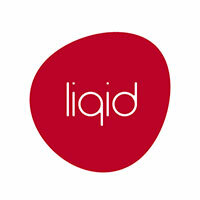 I have worked as XD Manager and Creative Director. Take a look at some of the clients I helped to create digital projects and products and, for more details, please drop me a line. 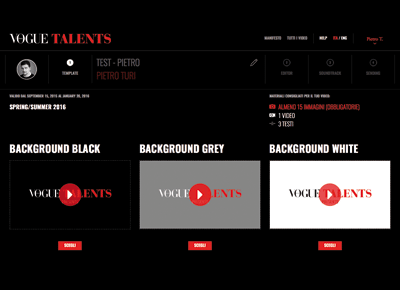 For the Italian Vogue, we created Upload Your Talent, a web editor aimed at giving visibility and support to the new generation of designers. The tool allows young designers and students to upload their materials (videos, photos, texts) and everything is converted into a video presetation of their work. The video that will be assessed by the Vogue Talents Team and, if lucky enough, published on the site. 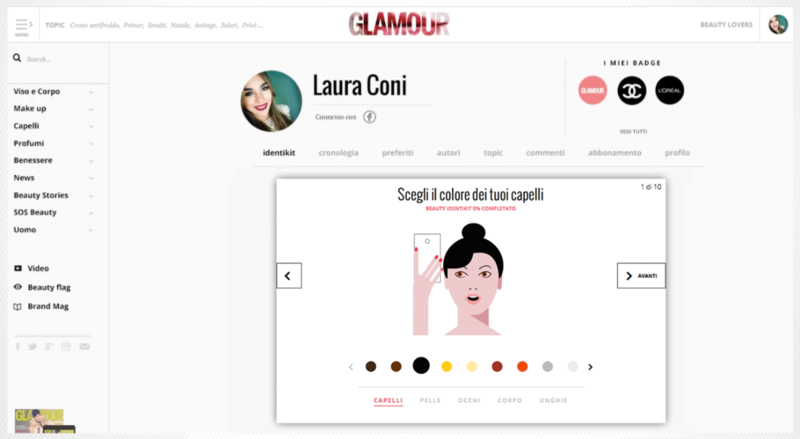 We completely changed Glamour's digital positioning by introducing the first Beauty Destination in Italy. 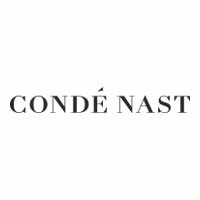 The new digital ecosystem was brought together by a fully responsive website, iPhone, Android and Apple Watch apps and a beauty distribution network among the others Condé Nast websites and newsletters. 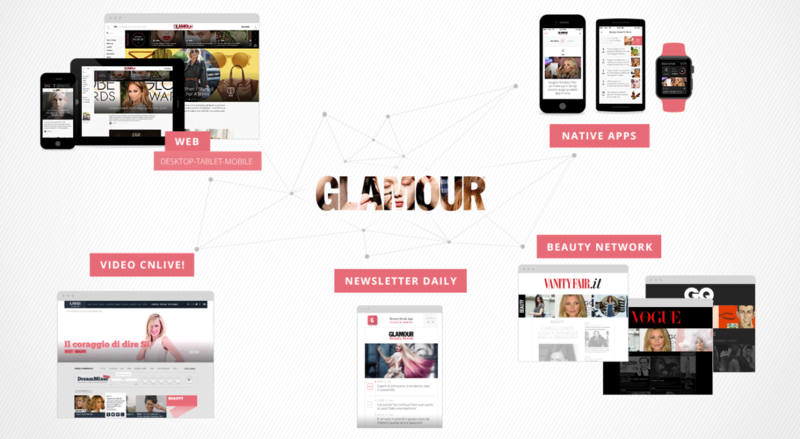 The site introduced an entirely new business model: Glamour helps brands to create great stories, engage audiences, and deliver scalable business results. This new promise was based on four pillars: branded contents instead of adv, social empowerment with more the 300 beauty bloggers involved, local relevance with many events around Italy and a brand new system for people profiling. 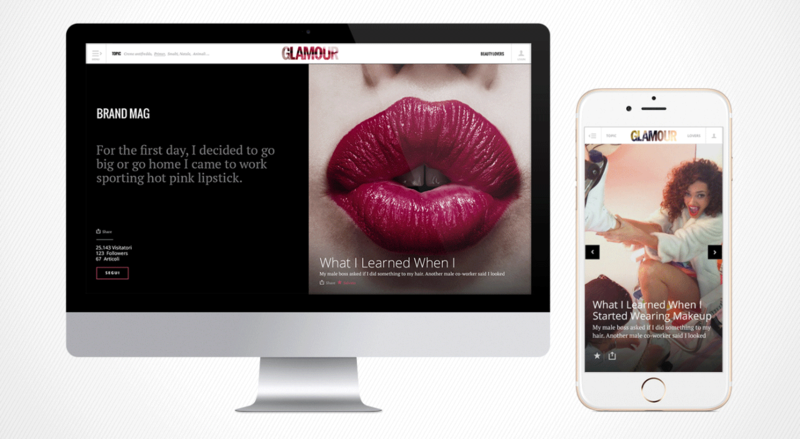 The Glamour Beauty Break app (iPhone + Apple Watch) was selected by Apple and featured on their website for the Apple Watch launch. 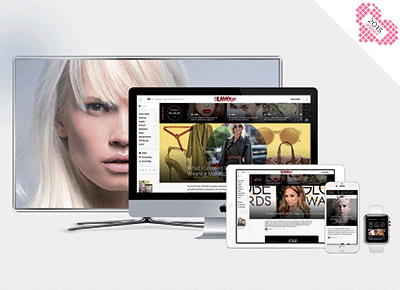 The project won the Lovie Award 2015 under the fashion and beauty category. 1) We added a freemium revenue model into the Archive's experience so that everyone could enjoy Vogue's history, even without a subscription. 2) We introduced Vogue Portfolio: a possibility for people to create their own personal Vogue using the magazines from the archive. 3) We blended the physical and digital experience into an amazing installation for the celebration party. The project won the Lovie Award 2015 for the Best Experience. We launched the video platform and the brand CN LIVE! 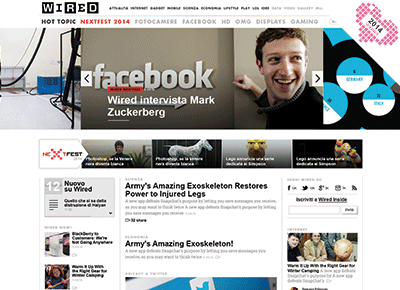 in 2014 and after less than 2 years we did our first redesign. The new information architecture was based on brands (Condé Nast brands as well as sponsors) and we made it possible for Creators to upload their own videos. The best videos are selected by the editorial team to be part of CN LIVE! and the video makers can collaborate with Wired, GQ, Vogue, Vanity Fair, La Cucina Italiana, Glamour and all the others CN brands and partners. We also introduced the "Video Social Life" , an algorithm designed to measure how a video lives on social networks, after it's published, combining likes, shares, views and engagements. 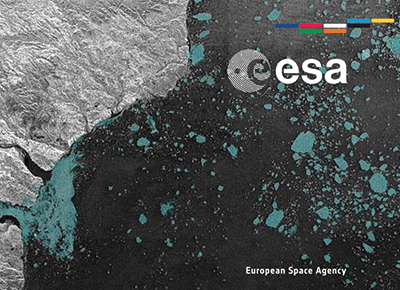 A new design, including a navigation based on topics and several new formats to tell the best tech-stories with photos, videos and live blogging! The site traffic (both page views and engagements) increased dramatically with the new version and we are continually iterating on the project by improving the design of elements, adding new functionalities or introducing new formats. 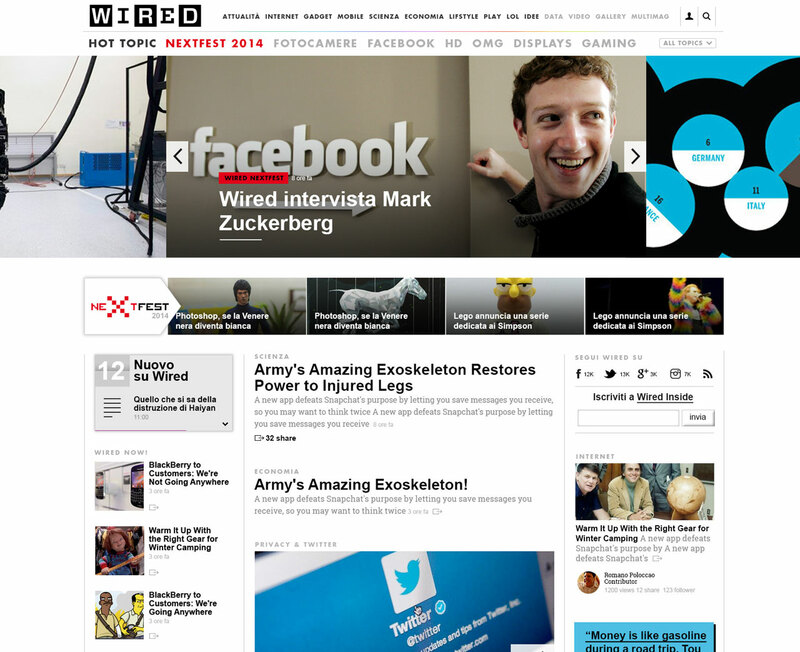 The Wired Feed for iOS and Android is a daily news app providing you with the digest of all the important, need-to-know news delivered every morning. The project won the Lovie Award 2014 under the news category. 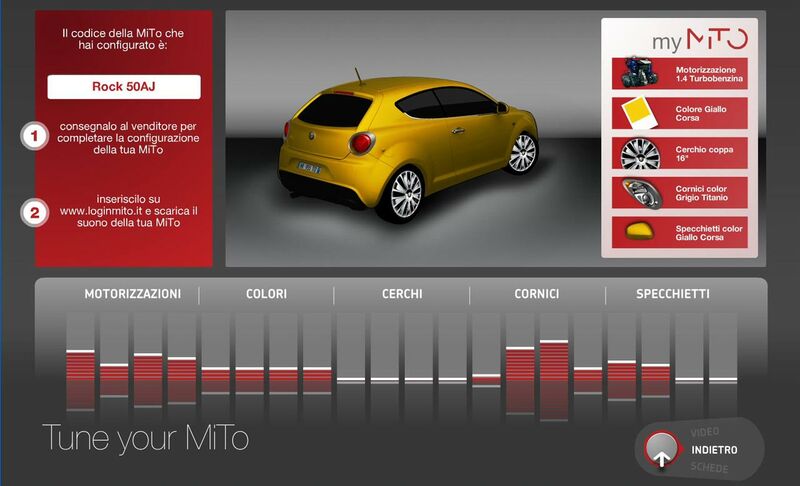 For Alfa Romeo dealers I conceived and designed the idea of an interactive kiosk to allow the clients to explore and configure the new Alfa MiTo car. 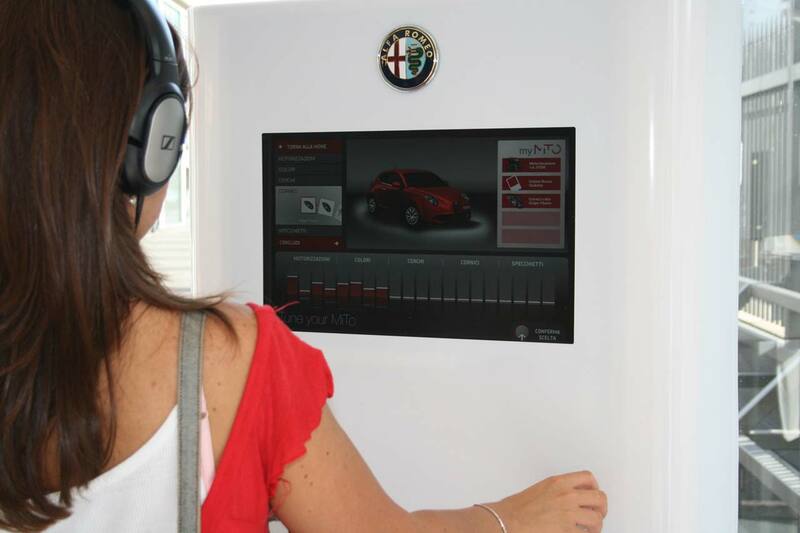 The main idea was to create a real-time interactive experience through an i-Pod interface that was as easy to use as an in-car stereo. With a large dial (similar to a hi-volume control button) the people could easily navigate the three sections of the app: conguration, video and technical information. The totem was entirely designed and produced by a work team of which I was in charge. 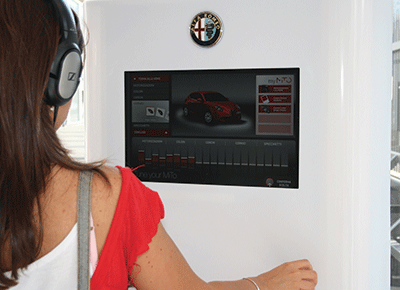 Positioned in some 250 dealer showrooms both in Italy and abroad, the totems represent, for Alfa Romeo, both a solid and stable display concept for Alfa Romeo which is flexible enough to allow web updating and any other future needs. 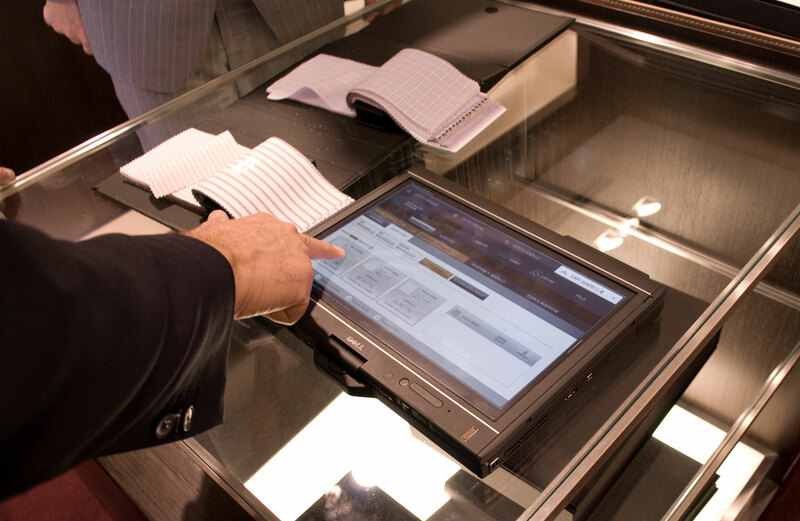 Following an expert analysis and evaluation activity, we redesigned the web application “Made to Measure” which manages the personalized orders in Zegna’s boutiques. 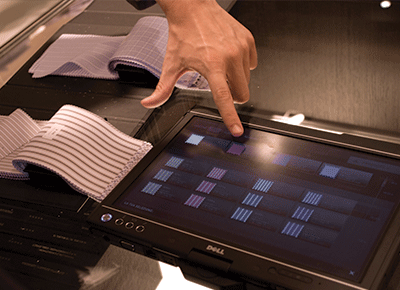 A multitouch version of this application was also be created for tablet PC (at that time the iPad was only a rumor, but as soon as it was launched Zegna extentded our concept to that device as well). I've been working on many digital products for the brand for 2 years, including the new Corporate Portal and a BtB web app called Order Entry. 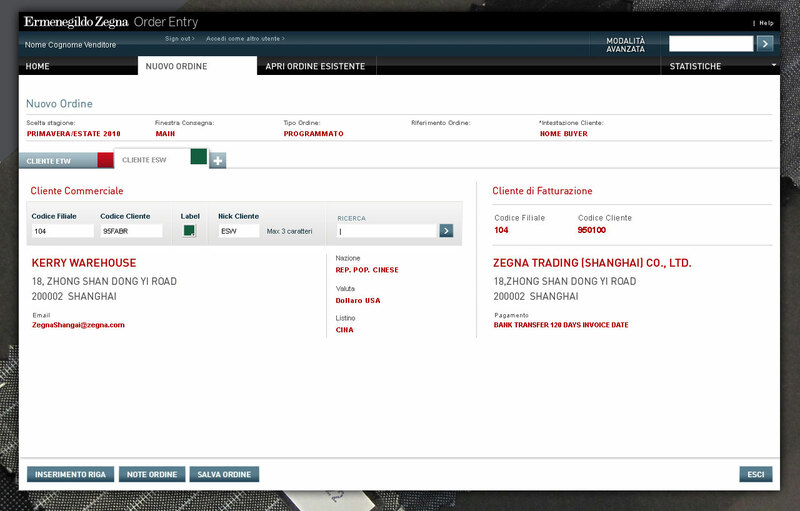 This app was designed to help Zegna’s retailers enter the orders in showroom. After the launch we increased the speed of inserting an order by 4 times and reduced the errors to half. 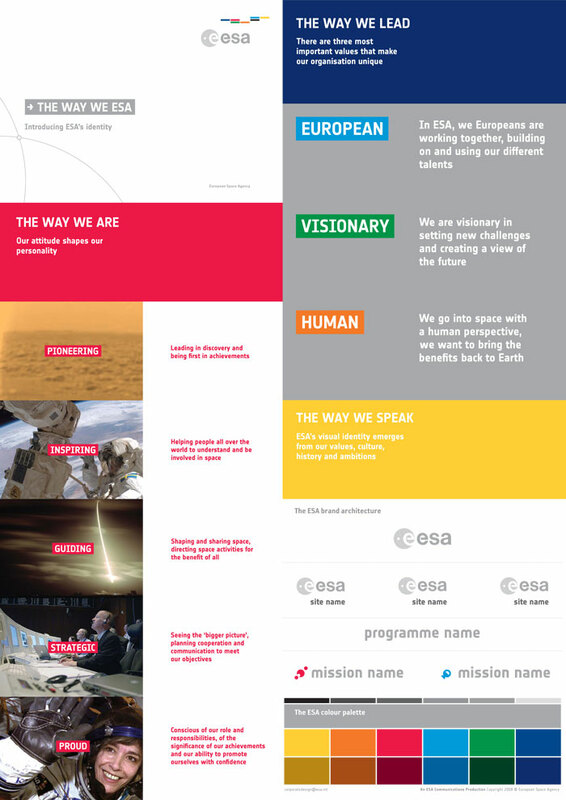 The redesign of the Identity of the European Space Agency was a yearlong project which featured research, competitive analysis, brand strategy, a corporate identity manual, corporate culture implementation and a launch campaign. I lead the first phases of the process, from the deep analysis (competitive field benchmark, interviews with staff, external survey) to the Brand strategy definition (workshops, brand Idea) developed in conjunction with our German colleagues from Meta Design. 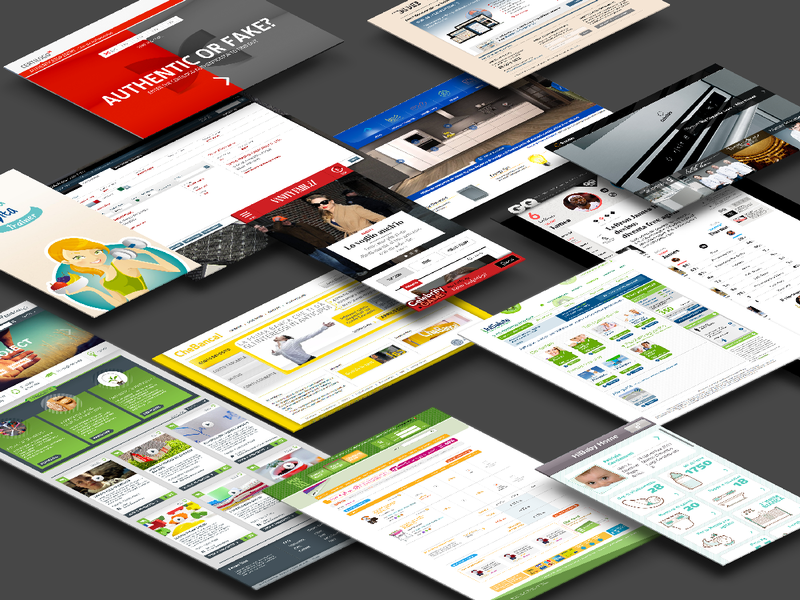 With more than 10 years in the field I've been working on many digital products and projects in different domains. In my professional experience I've been designing websites, mobile apps, intranets, interactive touchpoints, interfaces for ATM, IPTV e IOT always tring to blend clients' business objective with people's needs and desires.